While traditional open-hearth, wood-burning fireplaces are quickly going the way of the dinosaur, if you still want to burn wood, you have some very efficient options. Wood stove and fireplace manufacturers push the envelope every year on BTUs and many models come equipped with catalytic converters to cut down on smoke emissions. 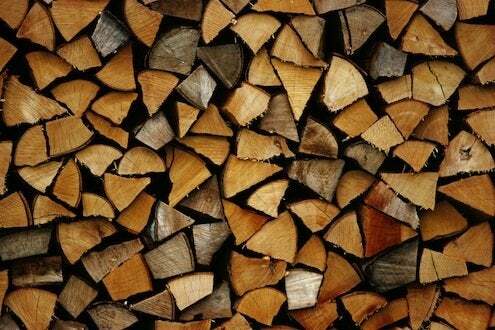 But one thing that makes any wood-burning appliance more efficient, however, is using the right kind of firewood. Hardwood species, like oak and maple, burn slowly and steadily. They all must be seasoned for at least a year or you’ll be making more smoke than heat. Softwoods, like pine and fir, season faster and grow faster. They’re easy to split and easy to start, but watch out for sparking and creosote buildup in your chimney. Any wood will burn well if it’s seasoned. You can buy or cut firewood ahead and season it yourself for a year. Store it in a covered, well-ventilated spot away from your house to discourage bugs from moving in.